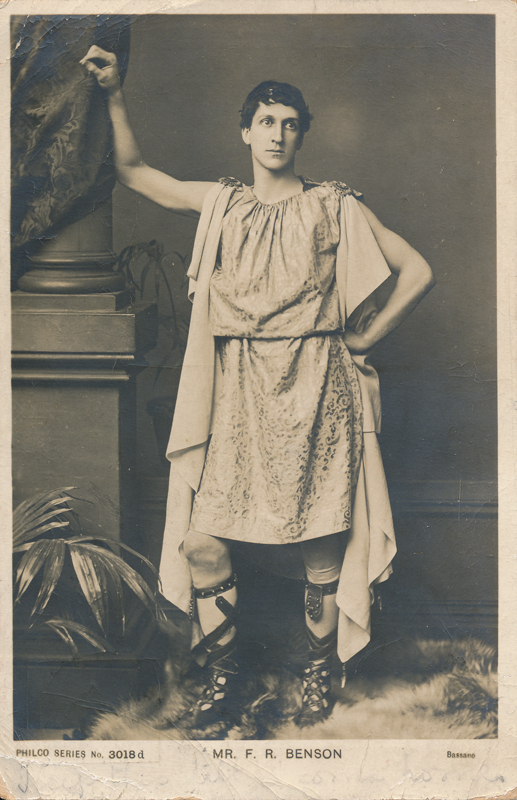 While at New College, Oxford, Benson produced Agamemnon, the first play to be performed there in the original Greek. 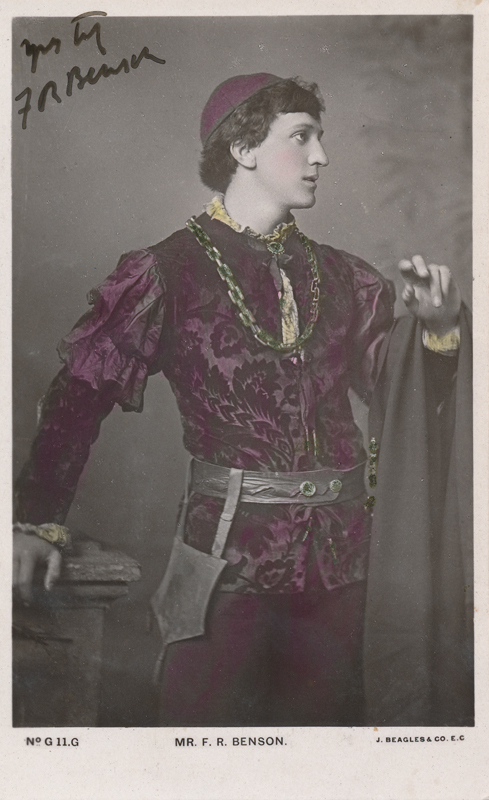 In 1882, he made his first professional appearance at the Lyceum Theatre, London—then under the management of Sir Henry Irving—playing the role of Paris in Romeo & Juliet. The next year, he formed a company of his own. 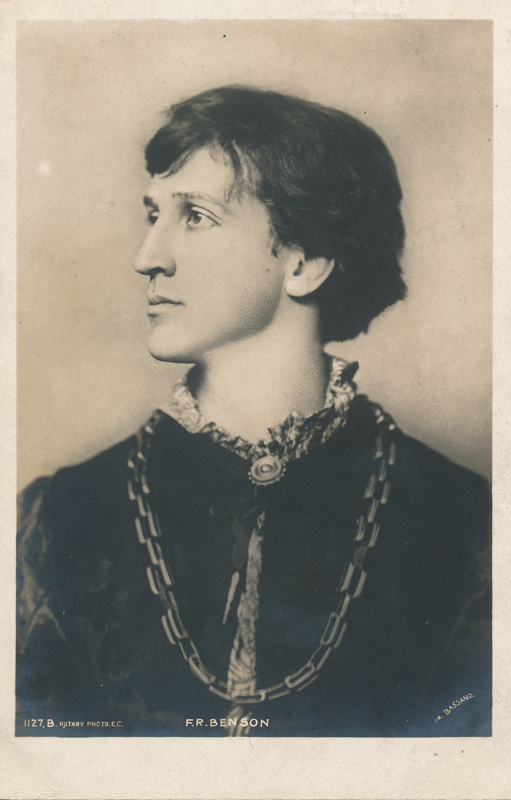 In 1886 he married Gertrude Constance Featherstonhaugh (1860–1946), who acted in his company and played leading parts with him. 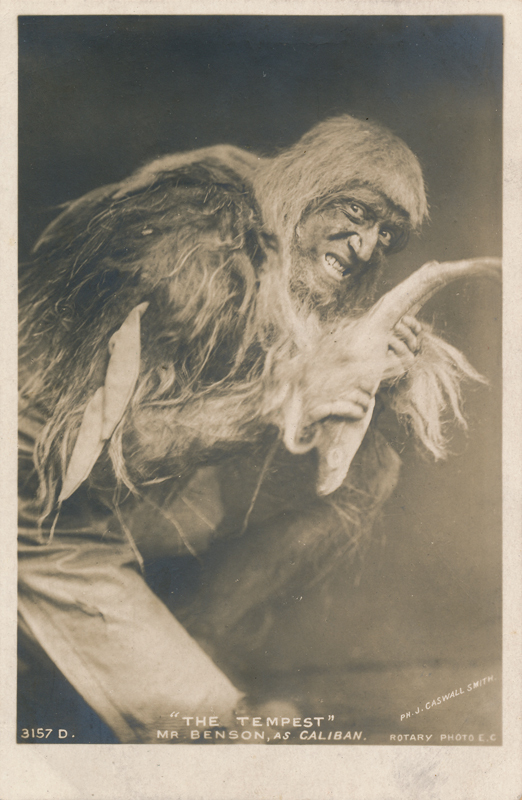 Benson continued to appear in London and regularly toured the English provinces in Shakespearean roles, and he also performed in Canada (1913) and South Africa (1921). He is remembered for his performances of the characters Hamlet, Coriolanus, Richard II, Lear, and Petruchio (Britannica). 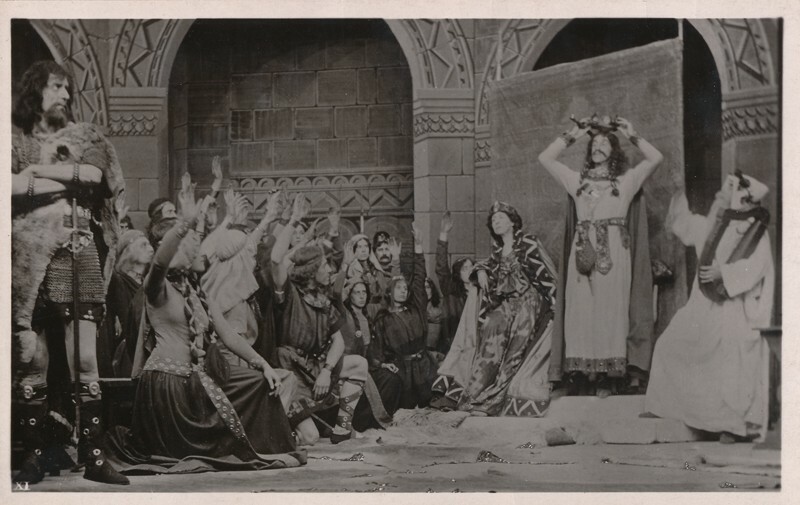 For many years between the late 1800s and the early 1900s, Benson devoted himself to the production of Shakespeare’s plays. 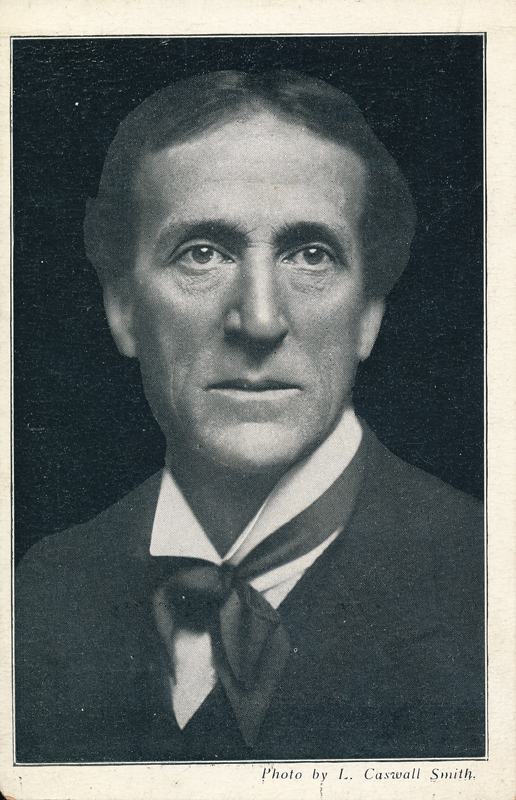 In 1886, in particular, Benson was granted control over the Stratford Shakespeare Festival and artistic direction of the Shakespeare Memorial Theatre. 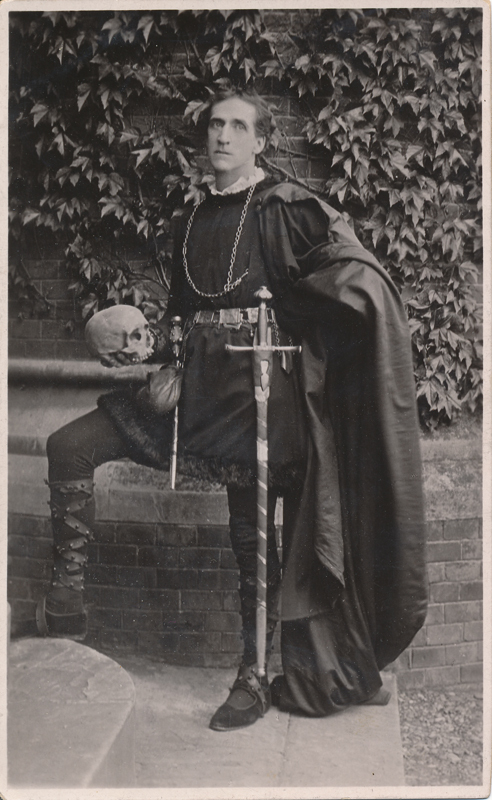 After 1888, he organized twenty-six of the annual Stratford-upon-Avon Shakespeare Festivals. 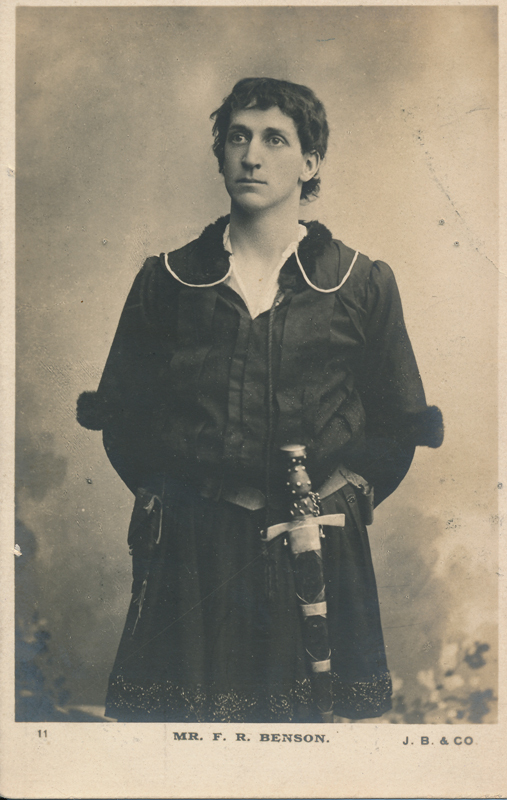 However, in 1889-1890, the plays were directed by Osmond Tearle, and in 1895, Ben Greet was invited to produce a year of his plays. 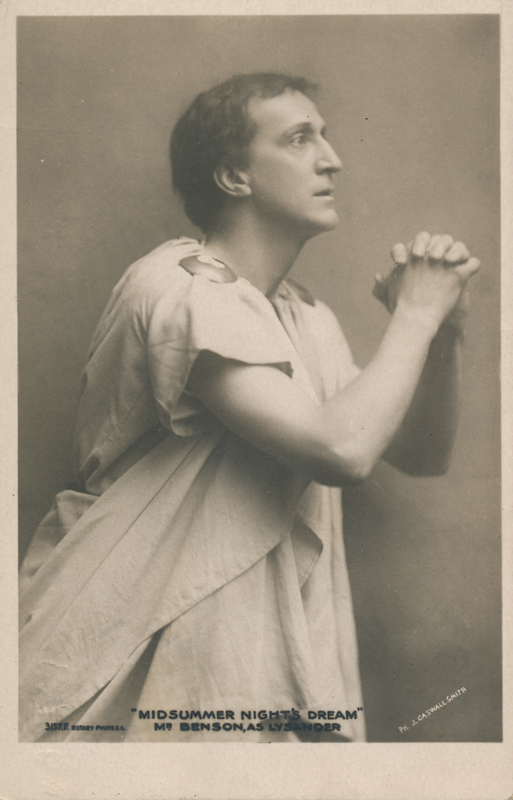 In his Festivals, Benson always made a point to “resurrect” some long-forgotten play in the Shakespeare canon to be performed during the three-week run of the festival. 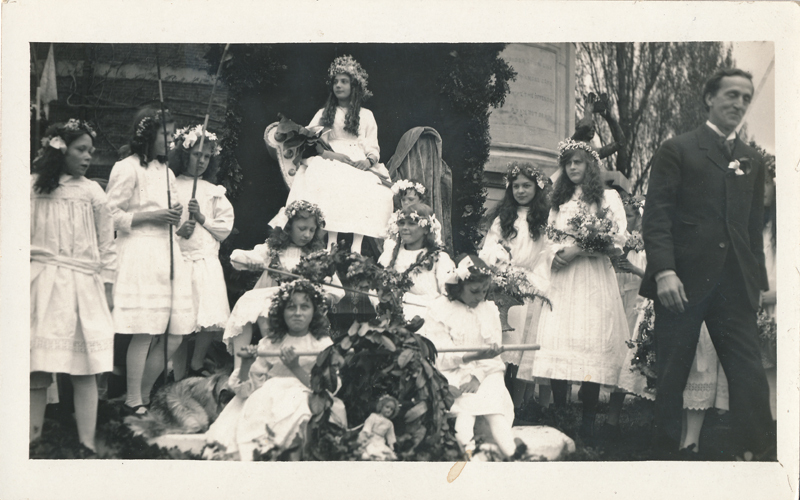 Many of these resurrected plays are now staples of the world stage and the classroom: A Midsummer Night’s Dream, Julius Caesar, Henry IV, Richard II, The Tempest, Twelfth Night. We may credit Benson with reviving the character of Falstaff for the modern audience and for the first documented modern performances of Shakespeare’s great cycle of history plays. Over his years, he managed to produce every one of Shakespeare’s plays, including an uncut version of Hamlet, except for Titus Andronicus and Trolius and Cressida. 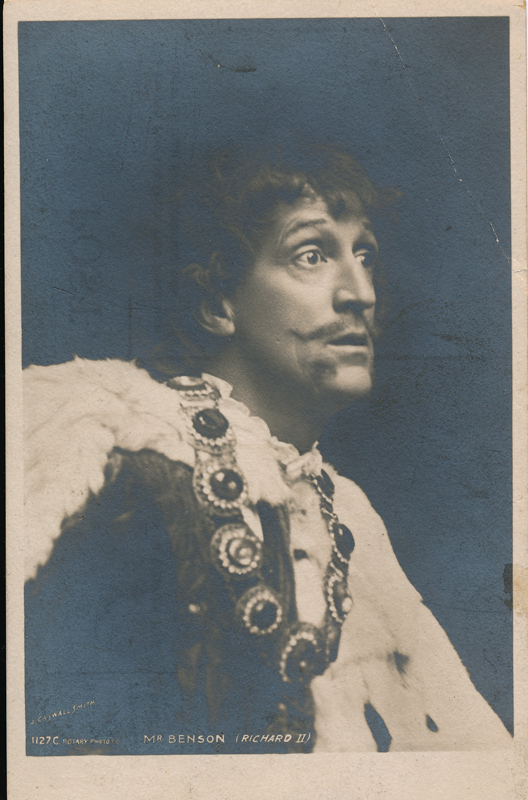 Benson founded an acting school in 1901, and was knighted in 1916 in Drury Lane Theatre—the first actor to earn such an honor since David Garrick in the eighteenth Century (Buckley). Here are a few audio and video clips featuring Sir Frank Benson.